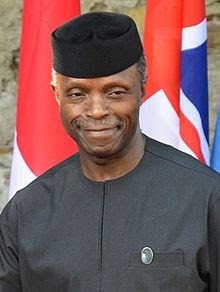 This Thursday, Vice President Yemi Osinbajo will visit Ondo State for the inauguration of Micro, Small and Medium Enterprises, MSME, clinic in Akure, the state capital. According to the Special Adviser to the Governor on Public and Inter-Governmental Affairs, Mrs. Olubunmi Ademosu, "The Akeredolu administration has always prioritised the people as a key point of his administration as all programmes that we have carried out have been evenly implemented. "We have also ensured that political influence is avoided with the commitment to facilitate a sense of belonging to residents. Micro, Small and Medium Enterprises Clinic will never be an exemption." Ademosu said the required structures and processes that would ensure the success of the programme have already been put in place. According to her, that the state is targeting about 10,000 beneficiaries. She reinstated that, “owners of micro, small and medium enterprises are expected to focus on capacity building before accessing the most appropriate financial facility. "This is why you have businesses that open and shut down in less than few months of establishment. Access to finance for at least five years is the right structure for these businesses and government is already working towards addressing that with the establishment of the Development Bank of Nigeria, DBN." Inland Revenue Service, FIRS, and others serve as facilitators of businesses and not obstacles to business development in the country. efforts to create an enabling and conducive environment for small scale businessmen in the state," he said. The programme would kick off on Wednesday, while the Vice President is expected in the state on Thursday for the inauguration. government in achieving an industrialised society. MSME Clinic is an initiative of the office of the Vice President in partnership with the Federal Ministry of Industry, Trade and Investment, as well as 11 other federal agencies. The special adviser explained that the idea of the MSME Clinic is part of the efforts of the present administration to close the gap between enterprises and relevant government agencies.